In April 1972, the author paid a visit to Dhaka with two objects in view. The first was to obtain further information for the study which the staff of the International Commission of Jurists was preparing on the events in East Pakistan (now Bangladesh) in 1971. It contains a summary of the events and an analysis of the legal implications from the point of view of Pakistani internal law, international penal law, the right of self-determination, the role of the UN, and the role of India. 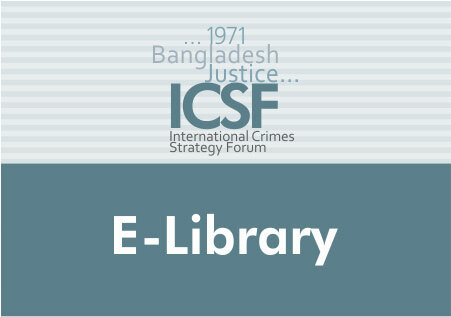 The second object was to seek to persuade the government of Bangladesh that if they are to bring to trial senior Pakistani generals and officials on charges of war crimes and crimes against humanity, they should do so under international penal law before an international tribunal containing a majority of judges from neutral countries.